Buy Green City Organic Jumbo Oats 1kg in the UK from our online shop or directly from our independent Scottish store. Grown in Scotland, Green City jumbo oats are a great base to make your own muesli. Use as a base for making your own muesli. Or soak overnight to make a coarse porridge. Where can you buy real Jumbo Oats - Organic safely online? If you are wondering where you can buy Green City Organic Jumbo Oats 1kg safely online in the UK, then shop with us. 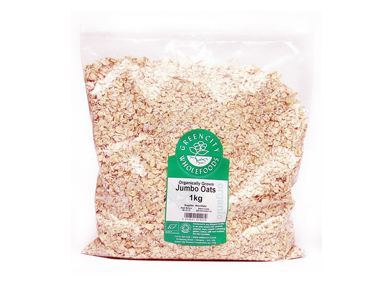 Jumbo Oats - Organic - Green City Organic Jumbo Oats 1kg in Oat Products and Rice, Grains & Oats.